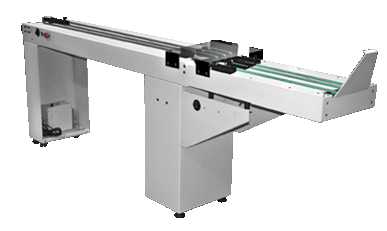 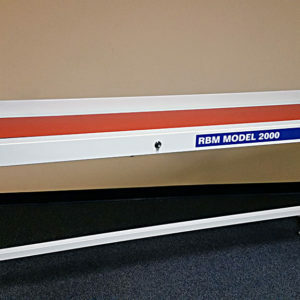 Sure-Feed Speed Sort - Roberts Business Machines, Inc.
Sure-Feed’s Patented Speed Sort Conveyor brings a new level of offset sorting to your mail shop. 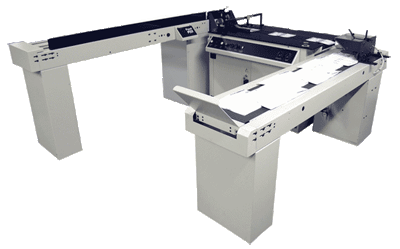 It features a Cone Sorting System that accurately offsets mail using regulated air. 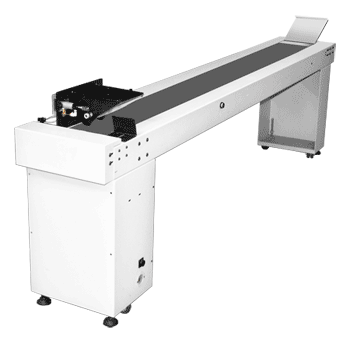 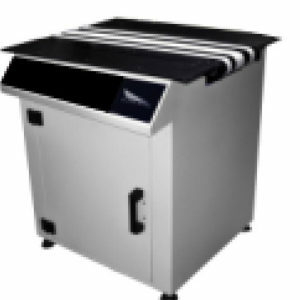 It also features a solid body construction, adjustable height and your choice of 6′, 9′ or12′ conveyor.